Spring is coming and that means it’s time to get your yard looking great. You and your family will want to be outside enjoy in the yard so it’s time to get rid of those dangerous and unsightly stumps. 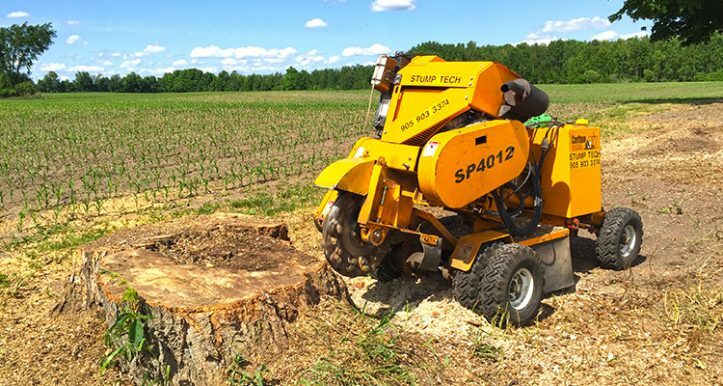 StumpTech staff members have years of experience when it comes to removing stumps of all shapes and sizes. They have the right equipment and the skills to get rid of any size stump safely and fast. Out technicians can work in almost any space. 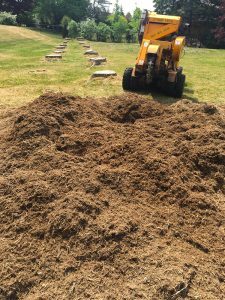 So it doesn’t matter if you have a small lawn area that has a stump or a big expansive area that has multiple stumps that need to be removed. As long as there is some kind of opening like a gate that is at least 36 inches wide our techs can get professional stump grinders insides to get rid of those stumps. Our skilled technicians can take on one stump or many stumps in the same space and get rid of them all. Even though the stumps may be different sizes and widths our techs have the training and equipment to get the job done right the first time. 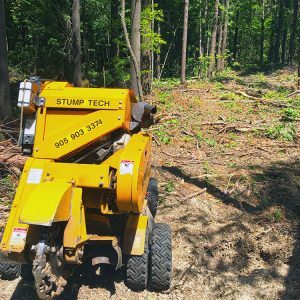 Why Choose StumpTech For Stump Removal? Customer service matters the most to us. We want our customers to be happy. We have more than 5 years of experience in stump removal. We have the best equipment and the best techs to do the job. StumpTech has a minimum rate of $150 (+HST) for any work we carry out. That does not include the estimate, which is free. That is only for actual work performed. Often our technicians can remove several stumps just for the minimum fee so many customers don’t end up paying more than the minimum cost. Why Hire A Professional Clarington Stump Removal Company? If you’ve been thinking about putting your property on the market you need to make sure that the property looks great and has no visible flaws, like stumps in the yard. You can try to remove stumps yourself. But if you don’t have professional grade equipment or the knowledge of how to fully remove a stump you could end up causing more damage. Or you might end up getting hurt. So whether you are thinking about selling your property in the coming year or you just want to make sure that your property is safe for kids and pets and looks great calling a professional team to remove any stumps in the yard is a good idea. Professionals like StumpTech have the skills and equipment that are needed to make removing stumps a safe, fast and affordable job. Instead of taking chances and trying to DIY stump removal let the professionals handle it and save your DIY skills for another project. That way you can be sure that your stumps will get removed fast and in the right way.